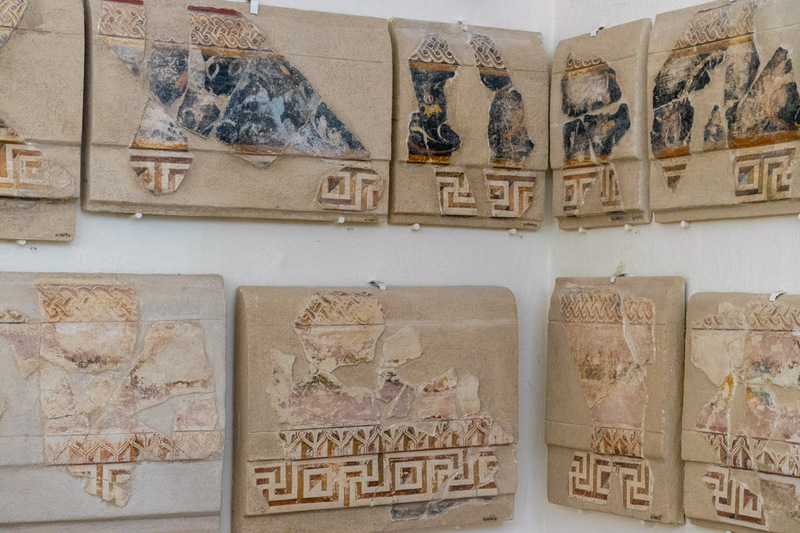 For all of the obvious associations between Greece and the ancient cultures, it has a surprisingly modest number of recognized World Heritage sites: 18 properties spread across 37 individual locations. 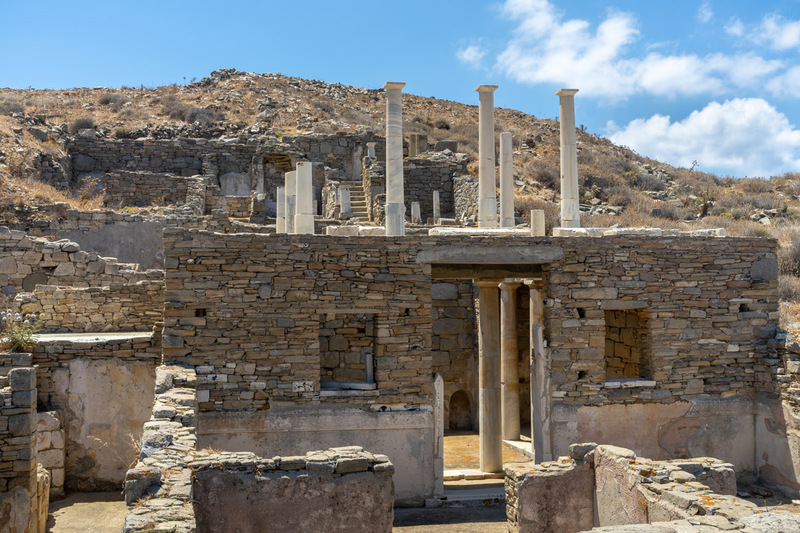 There are none on either Crete, Santorini, or Naxos, so my first chance to improve my visited count came well into the second week of the overall trip, when we took a day cruise from Naxos to two other islands, one of which was Delos. 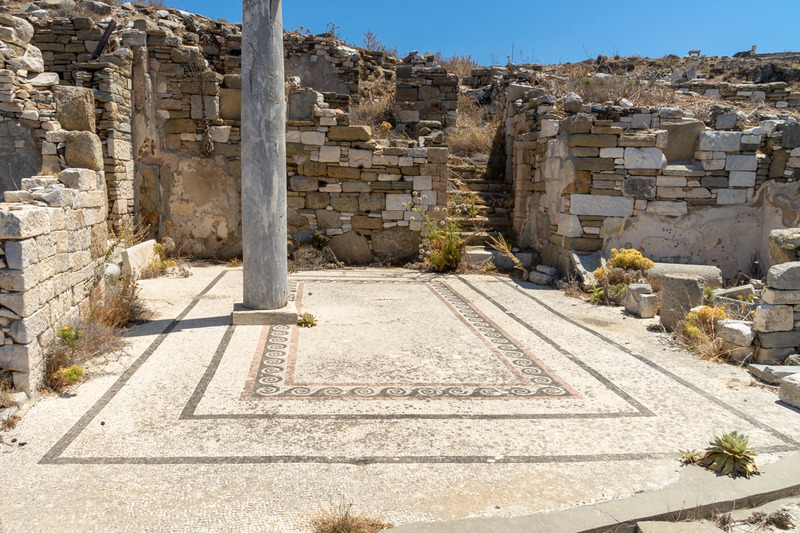 Delos (or Dilos, in an equally valid transliteration) holds a geographically central location in the Cyclades – in fact, the circular meaning of the archipelago name has to do with the other islands “surrounding” Delos. 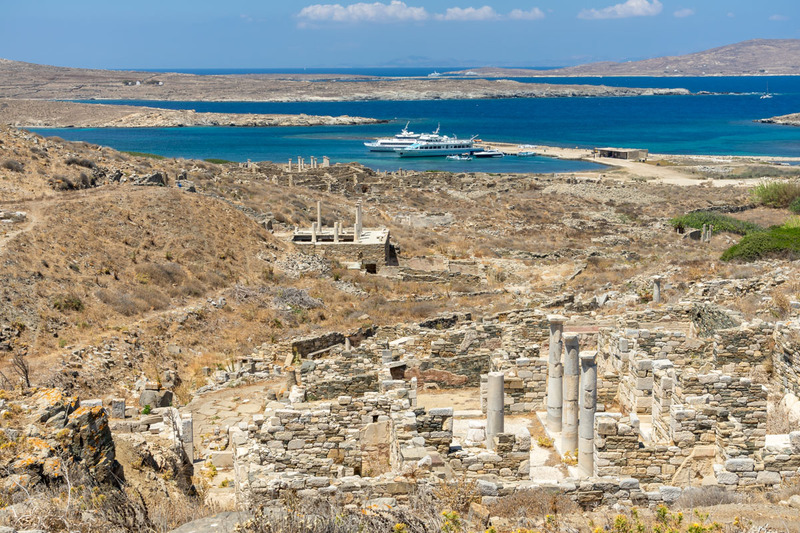 It is one of the most sacred places in Greek mythology on the strength of being the birthplace of Apollo. 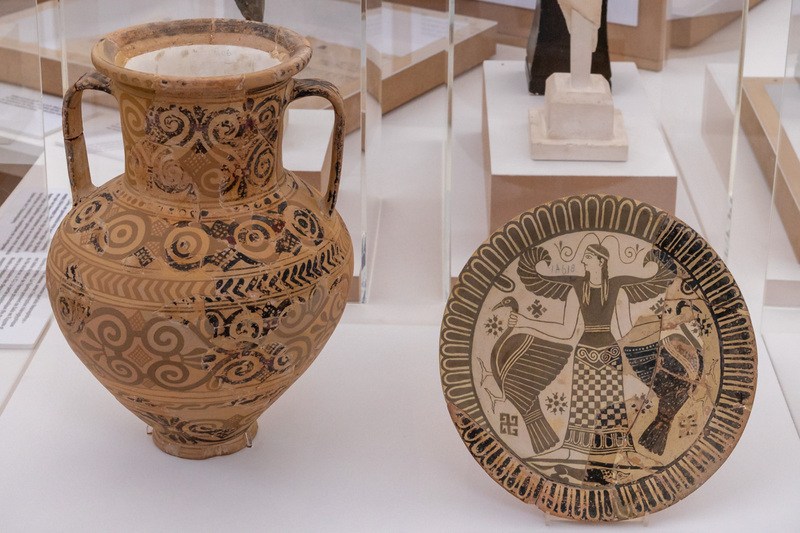 The island was a major cult center for most of the first millennium BC, as well as an important trading post in the later centuries of that period. 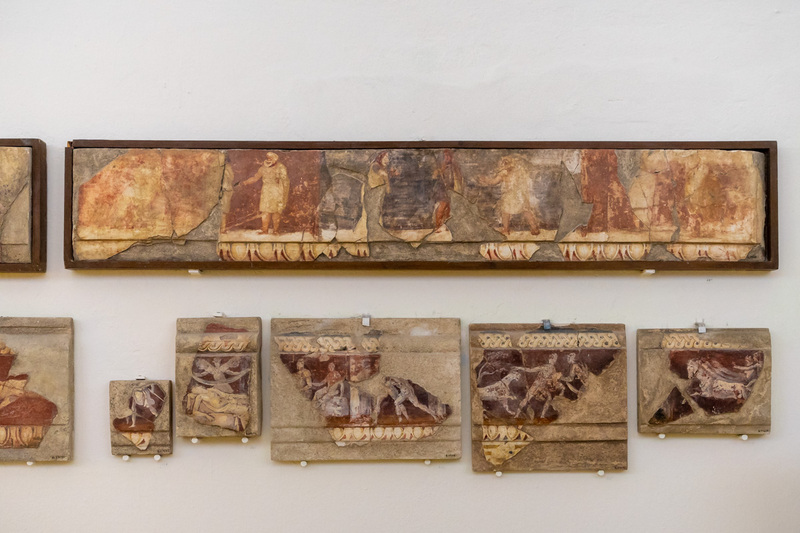 It was largely abandoned and uninhabited for the following two millennia, which contributed to the exceptional richness of its archaeological remains. The site is vast and is among the most impressive of its kind. 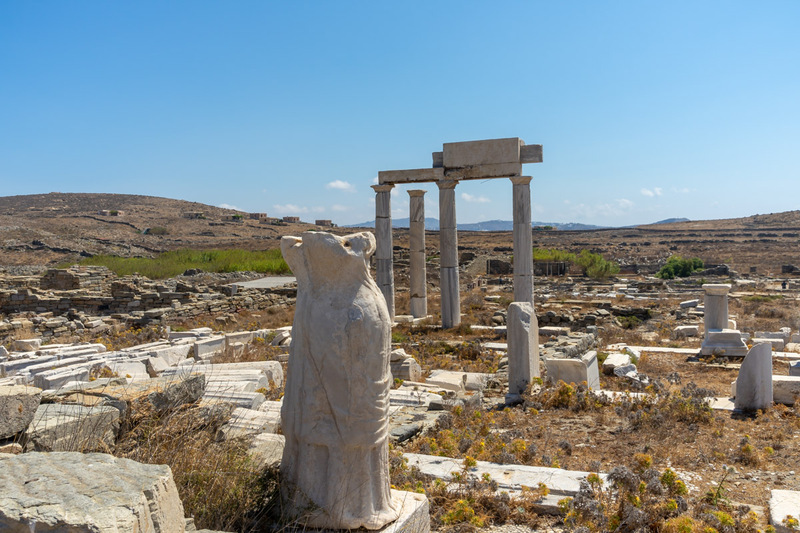 Ancient ruins everywhere require a non-trivial application of imagination to see beyond the piles of stones and the occasional surviving pillar, but Delos offers more than a few structures and artifacts that help visualize a bustling settlement from two and half thousand of years ago. 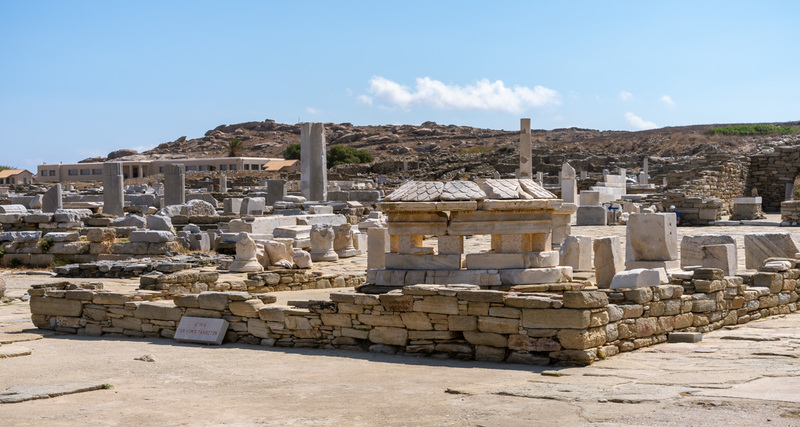 The sheer size of it, and the number of temples and agoras in its boundaries, definitely suggests that it was not your average settlement. 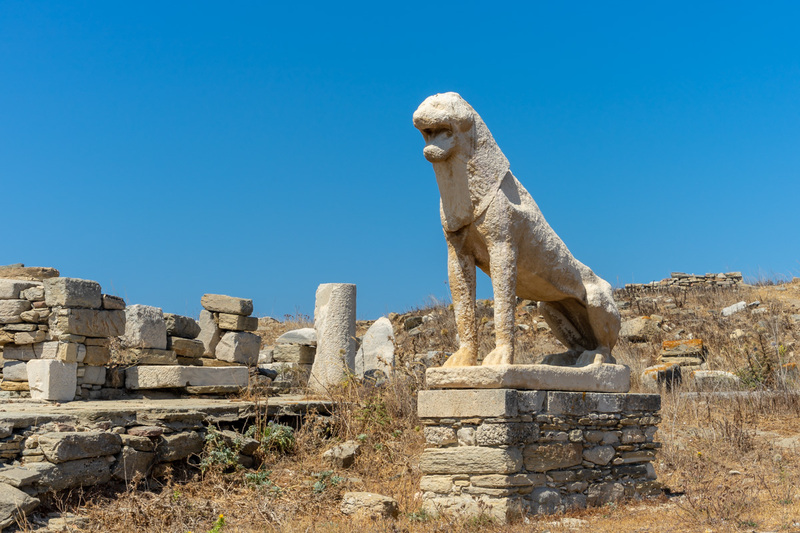 Among the most amazing surviving artifacts are the Naxian marble Lions, dedicated to Apollo around 600 BC. 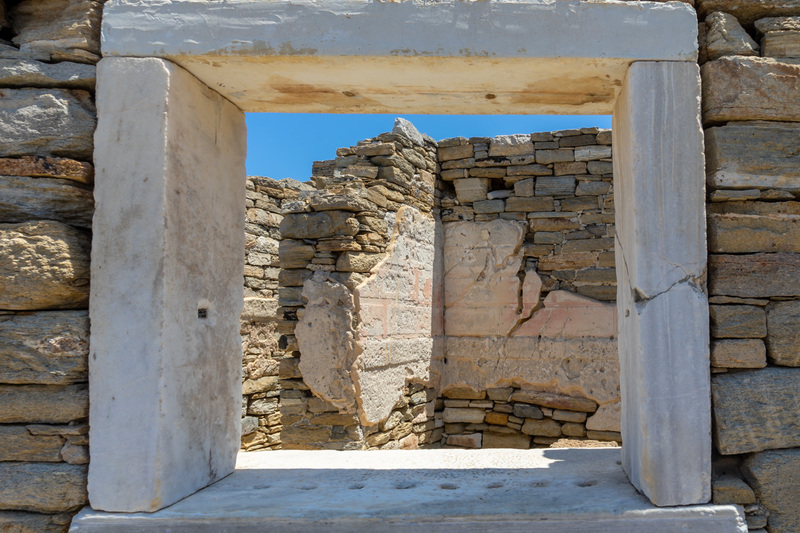 The nondescript building at the edge of the opening shot of this essay is the onsite museum, which holds a pretty good collection of artifacts found on Delos. Walking through the site, you come across occasional buildings that more or less retain their entire structures. … or at least retain key features, such as doors or windows. 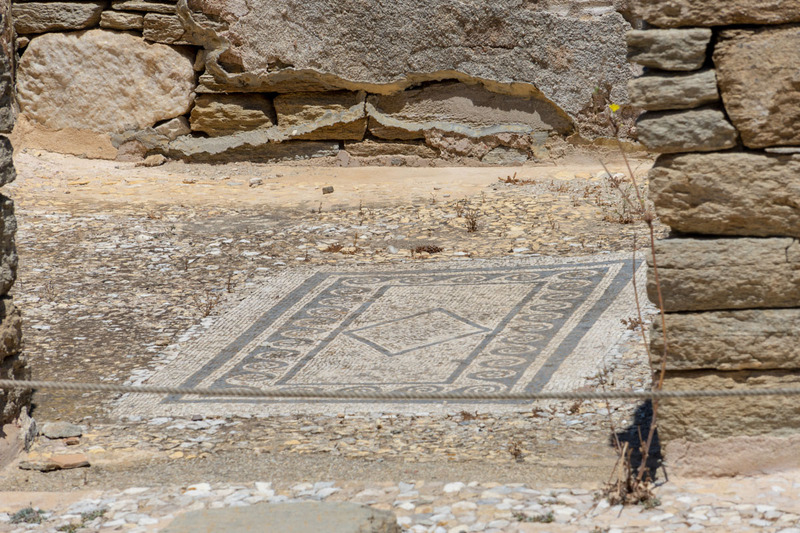 In a few houses, despite exposure to the elements, rich details such as mosaic floors survived in a fairly good shape. 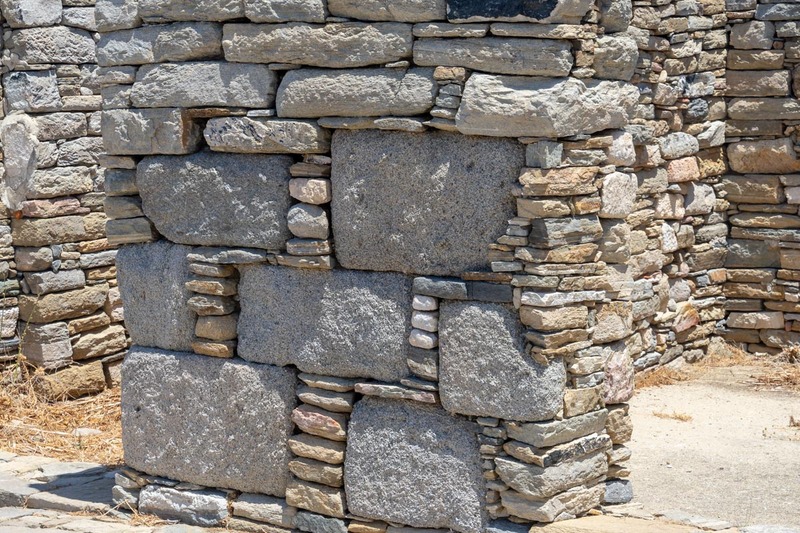 A closer look at the wall-building technique – large blocks interspersed with stacks of smaller flatter stones. 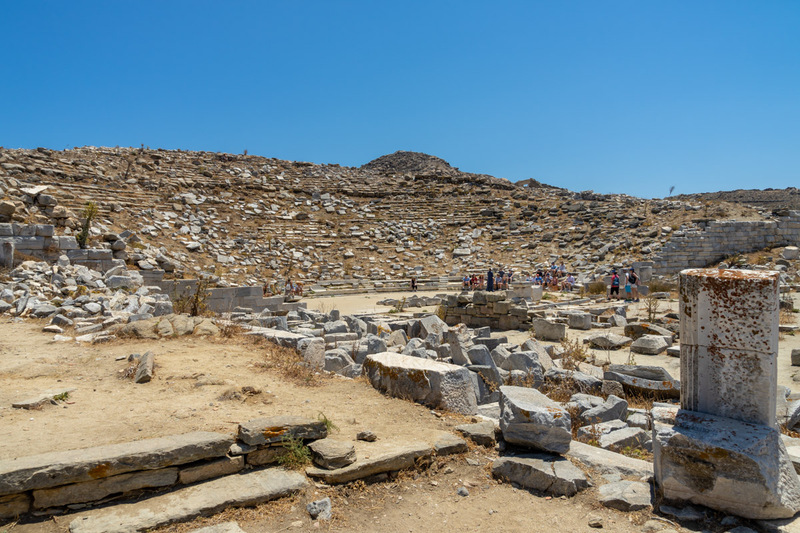 Over a hundred points through the site are marked as individual buildings or places of importance, many accompanied by descriptive stands with information in 3 languages (Greek, French, English). 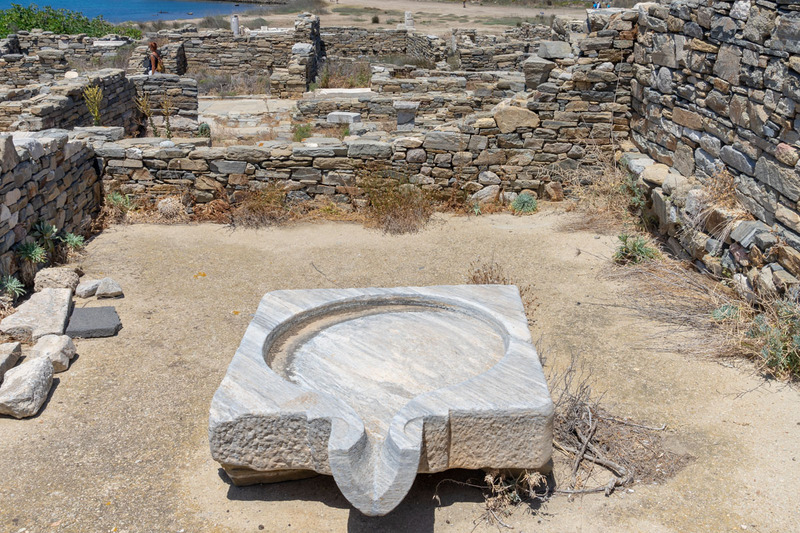 This is the Hall of Poseidoniasts, a guild of merchants that held the god of the sea as their protector. 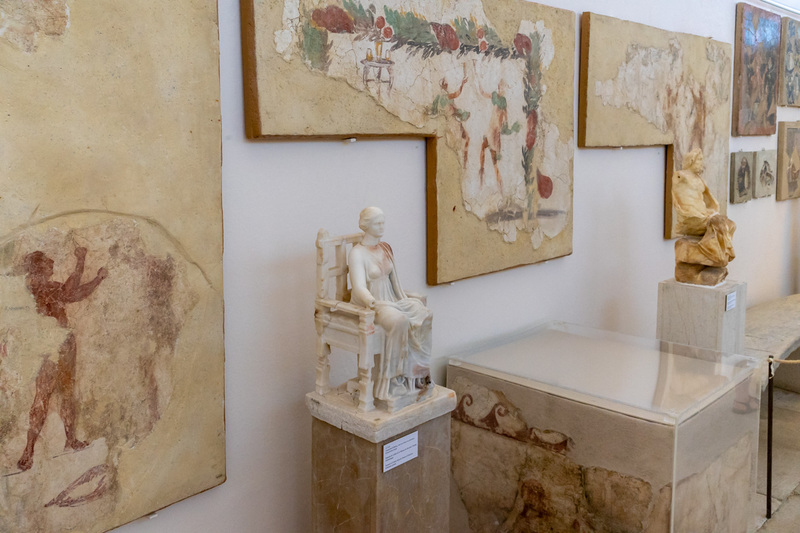 The House of Cleopatra, so called not because of the famous Egyptian queen. 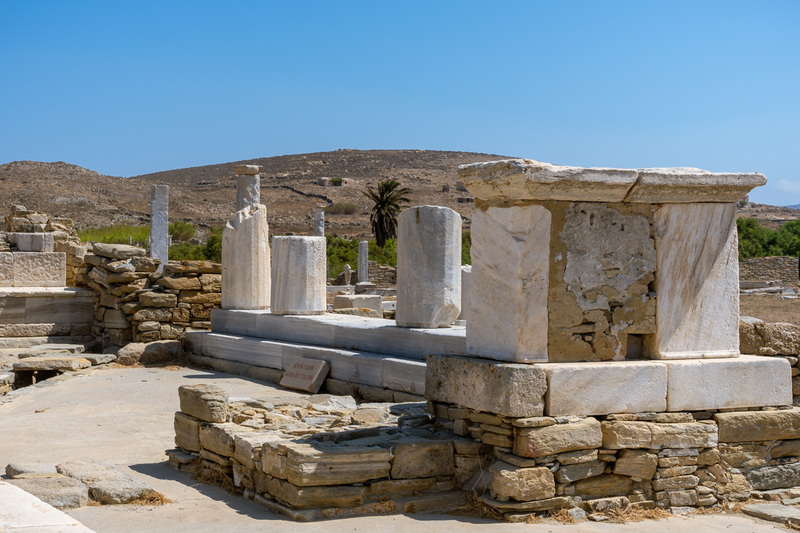 The statues seen between the columns are almost certainly of the erstwhile owners of this house, whom the inscription on the base names as Cleopatra and Dioscorides. 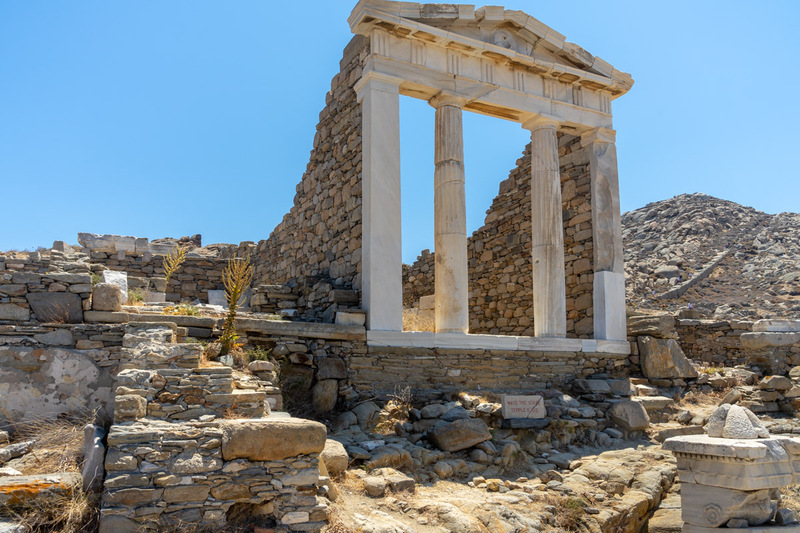 The Doric temple of Isis is located at an elevated point of the city. But it is not the highest point. The latter is visible in the right part of the picture, reachable by the stairs running up the hill. We did not climb that high. 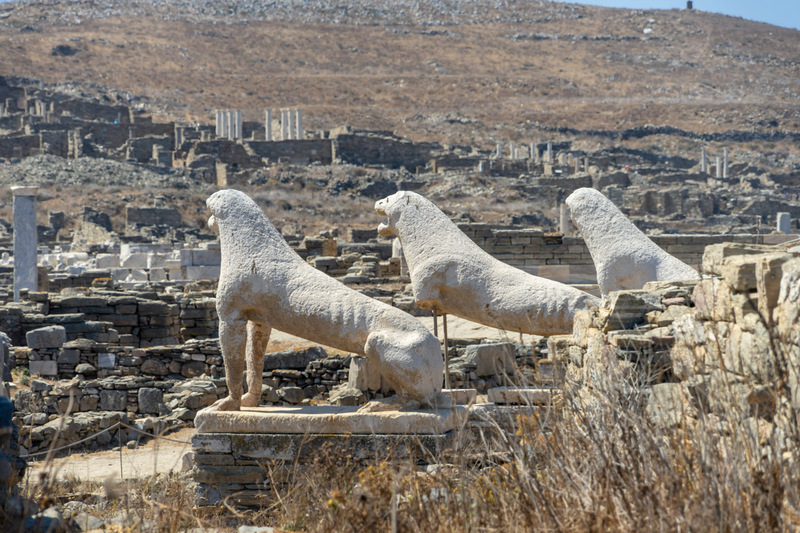 The amphitheater at Delos is not well preserved – its aerial photos found on the web look more impressive than the ground-level perspective. A look towards the bay from the terrace by the temple of Isis. 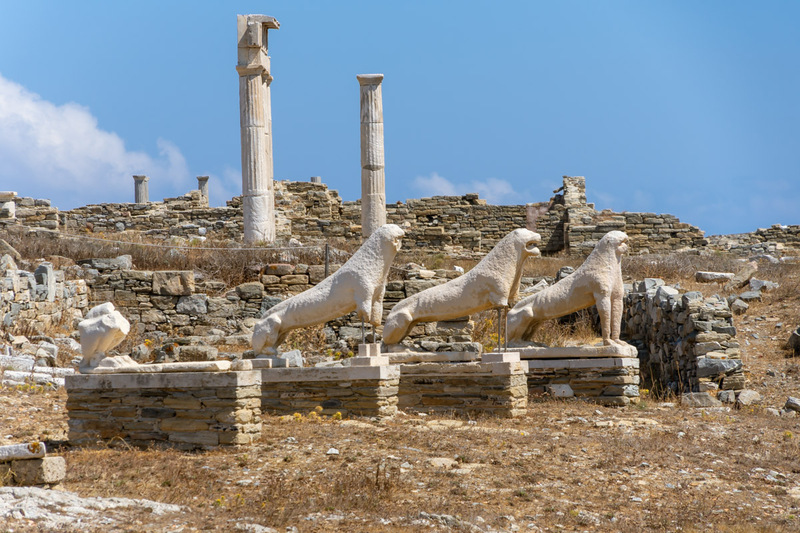 We had three hours for exploring the Delos archaeological site as part of the day-cruise. 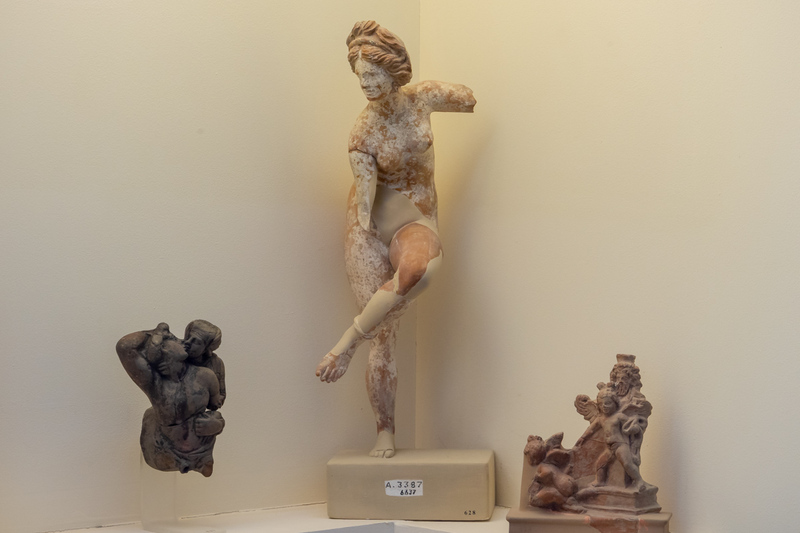 That is sufficient time for any layman visitor to discover all of the major points of interest and peruse the museum. A true enthusiast may not be satisfied even with a full day here. 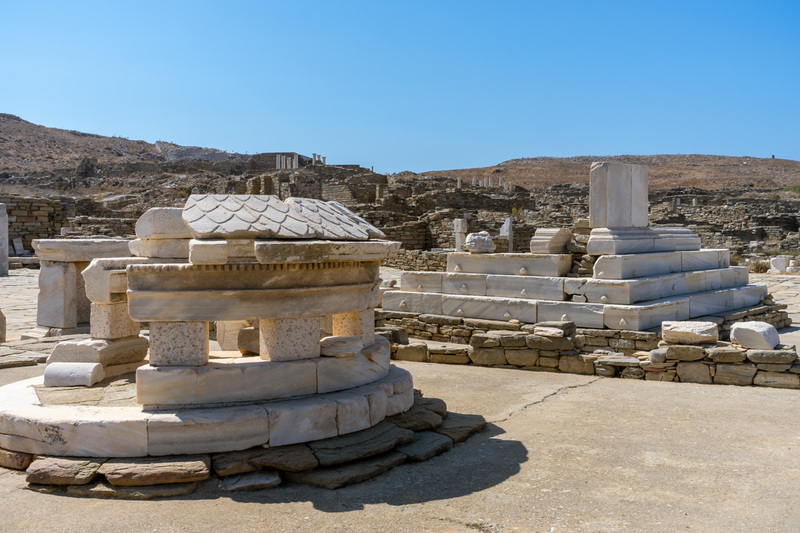 Naxos, Paros, and Mykonos all offer daily options to visit Delos in the summer season. 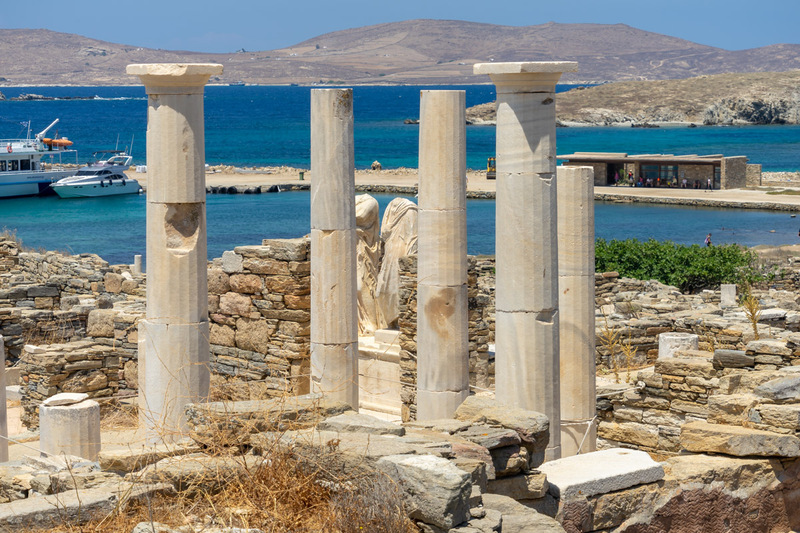 The color of the water behind the columns makes a stunning backdrop…. The coastal waters around Greek islands are almost always mesmerizing many shades of blue. I think I have a couple of more pictures with this palette coming up in the next two posts.